Following sell out shows in Sydney & Melbourne - GEORGE MICHAEL RELIVED, Australia’s greatest tribute to the music of George Michael will be performing at Ulladulla Ex Servos Club.Get Ready for an amazing night of music, dancing and singing! 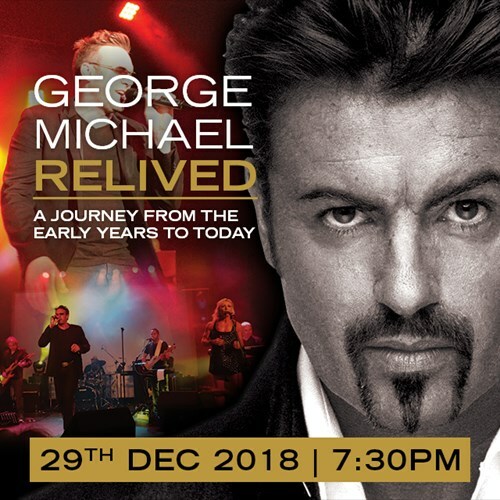 GEORGE MICHAEL RELIVED is an electrically charged 2 hour live experience covering Michael's stellar career, from the early years of Wham, right through all of his biggest solo hits. Get Ready to dance and sing along to Faith, Careless Whisper, Fast Love, Outside, Bad Boys, Young Guns, Last Christmas, Wake Me Up Before You Go-Go, I’m Your Man, Freedom, Everything She Wants & more. An amazingly talented band that has captured the sounds, the feel, the energy and the tight harmonies of a real George Michael gig. This will be a Funky night to remember.